Sold in the UK by the Bandai toy company, Robo Machines were transforming vehicle/robot toys made from sturdy plastic and die cast metal. Characters included RM-01 Motorcycle, RM-02 Tank, RM-03 Aeroplane and others. 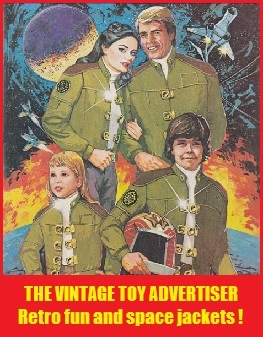 Robo Machines was also a British comic strip serialised in Eagle comics between 1984 and 1985. 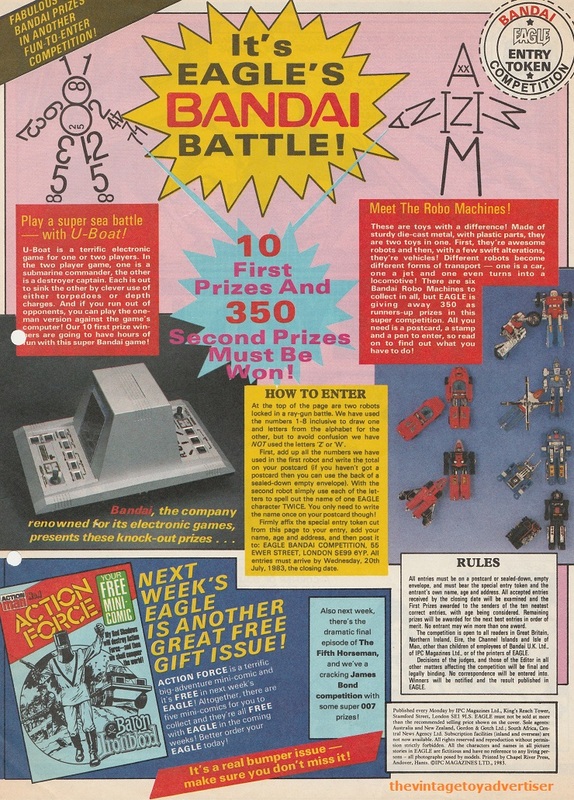 The story, though titled after the Bandai-owned Robo Machine toys, can also be connected to the Tonka-owned names of the Gobots, another toyline. UK. Eagle and Tiger. 1985. 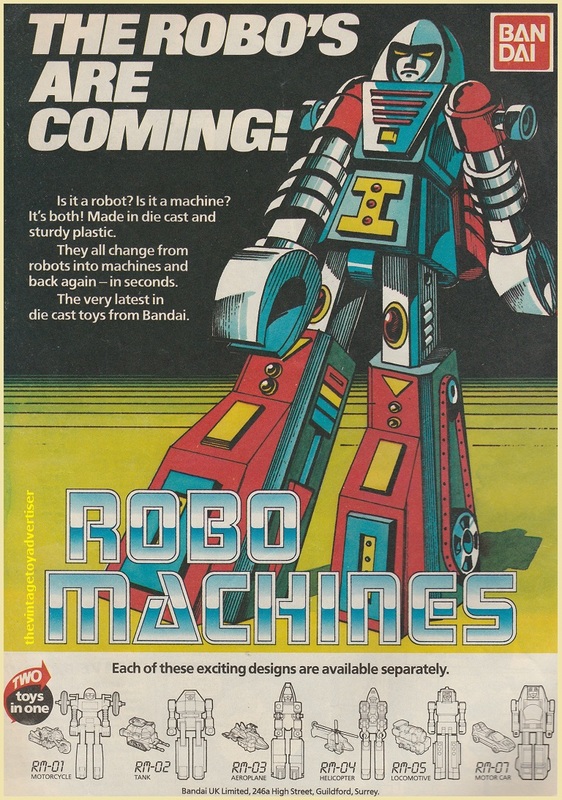 This entry was posted in ROBO MACHINES, ROBOTS and tagged 1980s toy adverts, 1980s toys, 1980s transforming toys, ROBO MACHINES, Robo Machines Bandai toys, transforming robots, transforming toys, vintage toy adverts on August 20, 2016 by The Vintage Toy Advertiser.